With a 242 knot top speed, the Acclaim Ultra is the current fastest single-engine production piston aircraft. Mooney International has received FAA certification for the Ultra versions of their Acclaim and Ovation models, the M20V Acclaim Ultra and M20U Ovation Ultra. Both of the aircraft models feature a variety of improvements and new features and the company plans to start deliveries of the new Ultras right away. If you’re interested in scoring an Acclaim or Ovation Ultra, however, Mooney is saying that they’re only planning to build 50 units in 2017 and that the order book is starting to fill up. Sun ‘n Fun, which starts tomorrow and runs through the 9th, will see the public unveiling of the first fully certified Acclaim Ultra. Pilot Side Door: For the first time in Mooney’s history, they’re introducing two doors. And just to make things that much more convenient for pilots and passengers, they’ve also widened the doors on both sides by more than four inches. Composite Canopy: Mooney has wrapped the tubular cabin roll cage in an integrated, composite skin which not only “reinforces the Ultra’s sleek aerodynamic lines,” it also provides for a quieter interior during flight. Newly Designed Interior: The interior has undergone some nice improvements as well, including more ergonomic design and hand-stitched Italian leather. They’ve also added some nice integrated technology features, including conveniently placed USB outlets and a center console with keypad, cabin environment slide controls, and lighting. And if speed is your game, they’re right on target. 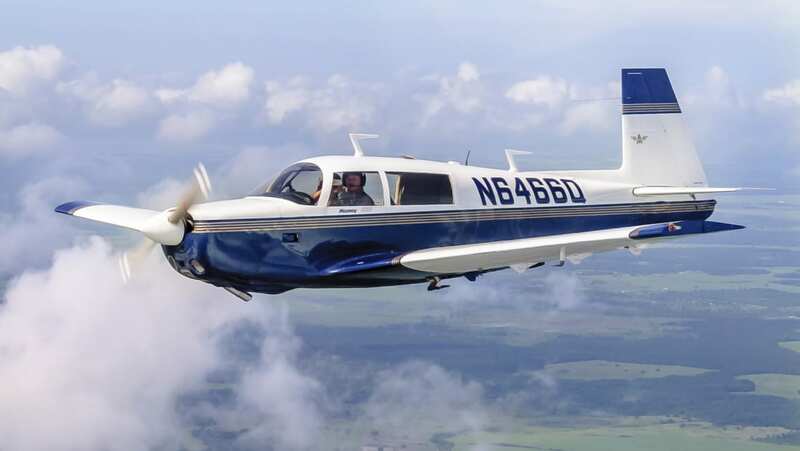 AOPA is saying1 that with a 242 knot top speed, the Acclaim Ultra is the current fastest single-engine production piston aircraft, just edging out the Cessna TTx, which has a published max cruise speed of 235 knots.